What will My Laser Tattoo Removal Cost? Almost anyone who’s researched laser tattoo removal can tell you that it will cost you much more to remove your tattoo then it does to get it in the first place. We won’t try to spin this or tell you it isn’t so, because it is very true. At Celibre Medical Corporation, we totally understand that cost is an important factor for you as you’re deciding on where to go to get laser tattoo removal. But we’d like to give you some other information to consider as well. Like we discussed before, tattoos are big business these days, and so, many places have popped up almost overnight offering laser removal of them. 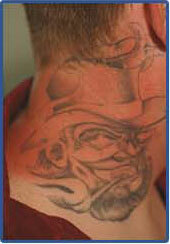 Please carefully consider where you go and who you see to treat your tattoo with lasers. The very last thing you want to do is trade your unwanted tattoo for an unwanted scar. That being said, to answer your question more directly, we’ve found that laser treatments of tattoos can run you anywhere from $50 per treatment (for a small, 1”x 1” tattoo) all the way up to $2,000-$3,000 per treatment for removal of a tattoo that covers the entire back. In general, the cost of treatment will be a combination of four factors: size of the tattoo being treated, the number of treatments needed to remove the tattoo, the quality of the laser technology being used for treatment and lastly, the experience of the practice with laser tattoo removal. We’d tell you by far and away, that experience and technology are the two most important things for you to consider when pricing out your treatment. It is so important for you to discuss how often and how many tattoos like yours has the practice or person treating you effectively and safely treated to completion. Can they show you before and after pictures? If they can’t answer with confidence or show you a wide array of photos demonstrating their competency, then you may want to go elsewhere. Experience is key! You don’t want someone who doesn’t really know what they’re doing permanently scarring your skin; especially just because they were the lowest bidder – it’s just not worth the risk! Also, ask questions about what kind of laser technology is being used. If you’ve got a tattoo with a lot of different colors, then you’re going to need a practice that has a vast array of devices to effectively treat you. If a practice only has one particular laser they use, then you’re best bet to really get rid of that tattoo without wasting your money is to go somewhere else to have it treated. Lastly, if you’re tattoo has green, light blue, yellow or white in it, just know right off the bat, these are really hard colors to remove with even the best laser technology. 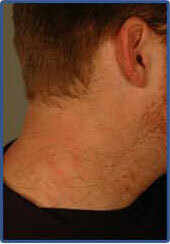 If someone’s telling you, “No problem!”, then be very weary of his or her knowledge of laser assisted tattoo removal. 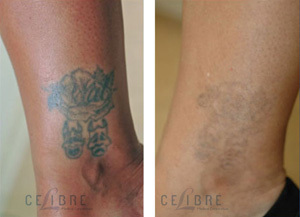 Contact us today and get the best value and results from your tattoo removal treatment!